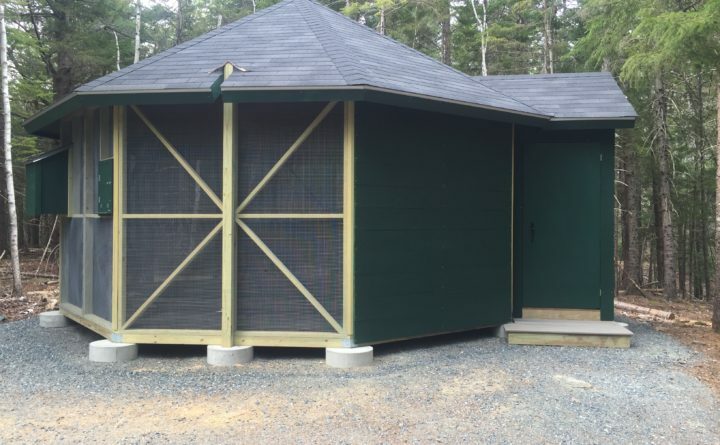 TOWN HILL — Acadia Wildlife Center in Bar Harbor will celebrate the opening of its new bat flyway 11 a.m.-2 p.m. Saturday, June 2, with donors and members of the general public. This building will enable the wildlife clinic to exercise bat patients before release and give baby bats the opportunity to fly and catch bugs. Bats are brought to Acadia Wildlife from all over Maine. The center, located at 49 Black Dog Road of Kitteridge Brook Road, has 40 adults and three babies to go into the building. It was built with overwhelming support of the local community. The event will include an open house, refreshments, door prizes, and a meeting with a bat up close and personal. Call 288-4960 for information.